A clean and empty vehicle isn’t worth the effort of a break in. If a thief looks in your windows and doesn’t see anything worth snatching, what’s the point? They don’t have the time to break in and search for hidden treasures, they want in and out as quickly as possible. Don’t pile things in your back seat, front seat, cup holders or anywhere else. Even a cup holder full of change can entice a break in. On that note, if you are dropping off parcels as you shop, put them in your locked trunk. Remember, out of sight, out of mind. A back seat full of shopping bags is mighty appealing to would-be thieves. They may not know what those packages hold, but they know they must be worth something and a simple smash and grab is all it takes to ruin your holiday spirit. It seems simple, but make sure to lock your vehicle. 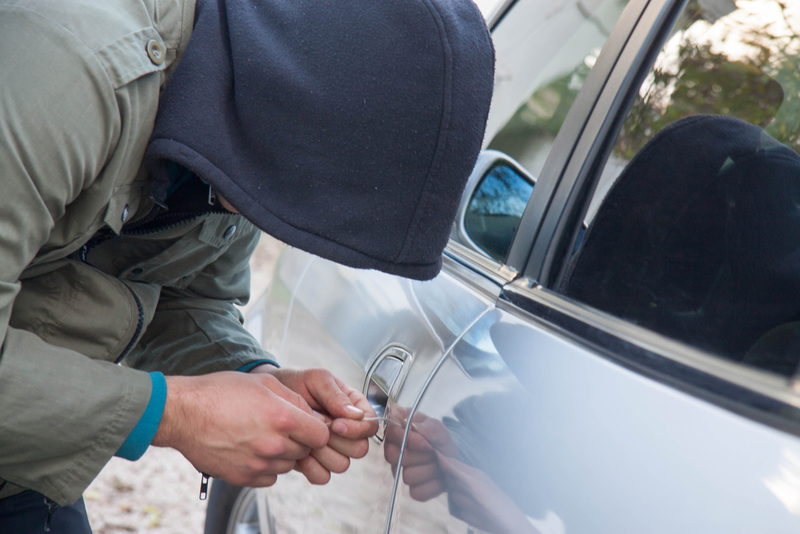 Some thieves aren’t into taking the time to break a window or work their way into your car. Why waste the effort when they could simply test for unlocked vehicles. It’s as easy as a push of a button and your vehicle is that much safer. And while you’re at it, if you have an anti-theft device or alarm, make sure it’s set. An activated alarm draws attention — something thieves can’t risk drawing. As you shop, enjoy holiday parties and are out and about town, there is no reason to wonder if your belongings and vehicle are safe. By following these tips and staying smart through the holidays, you can enjoy a happy and safe season worry-free.